*thanks fellow Foodspotter Becky for the photo. Mine did not come out that great. Whimsical! 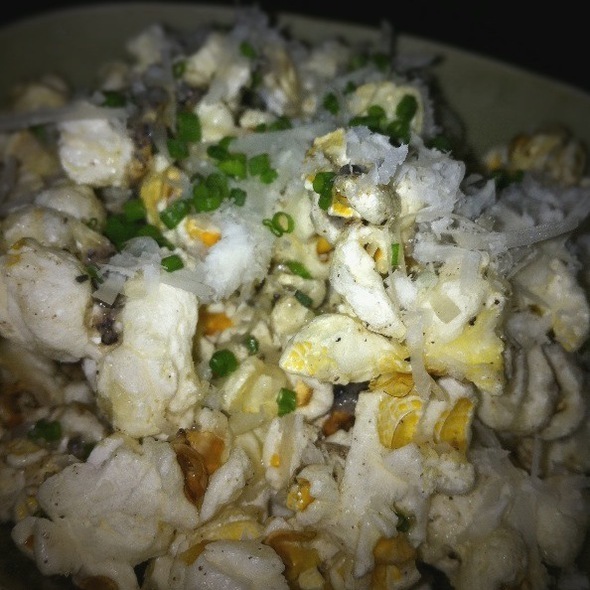 Love that Graham Elliot starts his patrons dining experience with Truffle Popcorn. Truffle Butter, black pepper and what Graham calls parmesan fluff. You know that you are in for a treat with the rest of the meal with this kind of start. This was one of our food stops when we were in Chicago on a recent trip. We were lucky enough to meet Graham while dining there. Great guy! Loved his tattoo of the Baltimore Oriole bird on his arm. It was a big treat!